As professional dance instructors, we know that dancing is good for our health. However, the benefits of dance go far beyond just the physical benefits, like increased flexibility, muscle strength, coordination, and endurance. Sign up for dance classes today at Miss Colleen’s Elite Dancentre, or continue reading to learn some of the ways dance benefits your mind, body, and soul! In a world that never seems to stop whirling around us, it has never been more important to prioritize mental health and self-care. Studies have shown that dance has a profound impact on both physical and mental health, and that dance, music, and art are therapeutic for people who suffer from many different kinds of mental illnesses. The exhilarating feeling of letting music move through your body, whisking away the day’s stresses and hardships, can relieve feelings of depression and anxiety, leaving you feeling happy and refreshed. Any dancer will tell you that ballet, jazz, lyrical, hip-hop, or any other type of dance allows for a unique kind of self-expression that is otherwise impossible with words or actions. This is another reason why dance is so good for your mental health — it allows you to demonstrate your creativity in a simple, freeing way that you can truly make your own. Despite dance lessons or dance competitions, every dancer is beautifully unique and can tell their story just through movement. With unique self-expression comes increased confidence as you learn to master dance moves and bring your own flair to the dance studio. Often, the best dancers are the ones who have a passion for movement and use dance to strengthen themselves, inside and out. Plus, dancing releases endorphins that make you feel euphoric and ready to take on anything life throws your way. Talk about a natural confidence booster! Another main benefit of dance is that it allows you to meet other dancers in the community and form long-lasting friendships. 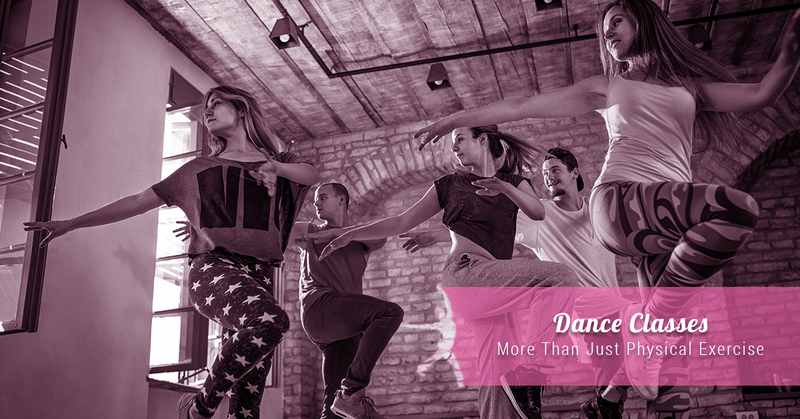 There is a special bond that forms when people can truly appreciate the way others express themselves in the dance studio, and it allows you to get to know them on a deeper level, almost as if you’ve already spoken a thousand words. This is why dance is so good for people with social anxiety — they’re in their comfort zone or “happy place,” and this makes them much more confident around others. Ready to experience the benefits of dance for yourself? Check out our dance classes here, and sign up today at Miss Colleen’s Elite Dancentre in Rockville Centre, NY!